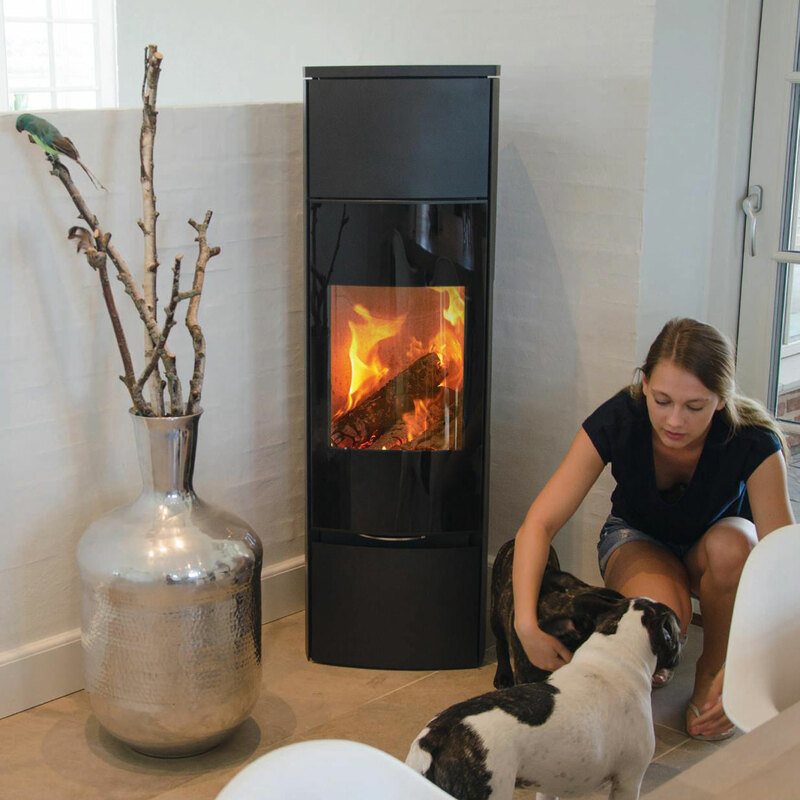 Bella has a lot in common with Senza and is perfect for low-energy houses or homes with low space heating requirement. By default, Bella is delivered with a self-closing door and a fresh air intake option. This model has a door with complete glass front, which together with its integrated handle creates a pure style modern look. Delivered in four different versions: with or without side glass combined with two different heights. Accumulation stones can be purchased as an accessory.